US National Security Adviser lands in Israel for first official visit since taking office, will meet PM Netanyahu on Monday morning. US National Security Adviser John Bolton on Sunday landed in Israel for his first visit to the Jewish State since entering office. "Just arrived into Israel. 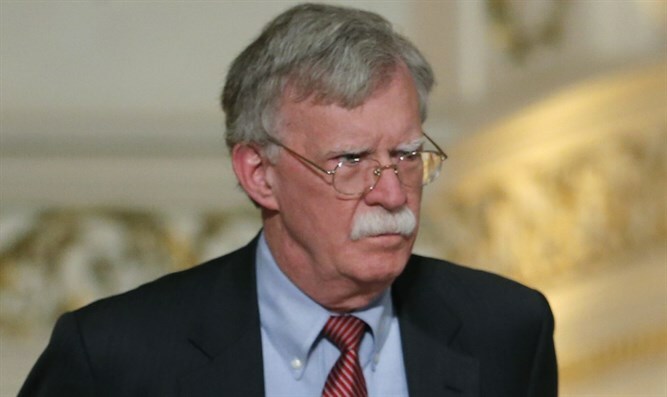 I’m looking forward to meeting with PM Netanyahu and other officials beginning today to discuss bilateral concerns and a range of national security issues," Bolton tweeted. US Ambassador to Israel David Friedman tweeted in response, "I am so pleased to welcome National Security Advisor @AmbJohnBolton and his staff to Israel." "Looking forward to several days of bilateral engagement to further strengthen the US – Israel relationship." Bolton assumed office on April 9, after US President Donald Trump fired his predecessor, H.R. McMaster. Bolton is scheduled to meet Israeli Prime Minister Binyamin Netanyahu on Monday morning. with his Russian counterpart Nikolai Patrushev. The meeting in Geneva is a follow-up to Trump's July summit with Russian President Vladimir Putin in Helsinki, according to the White House.